Welcome back to term two! We hope you have had a restful Easter break. The competition deadline for this year is Friday 26 May and the workshop sessions are set for July and August. If you have any questions relating to entering the competition or if you’d like your work critiqued prior to submitting – please email us! Our mentor composers are happy to offer advice. 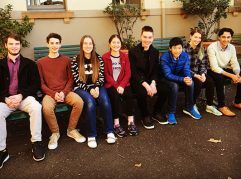 Last month a few of our young composers were interviewed for 2MBS-FM with Producer, Jason Noble. 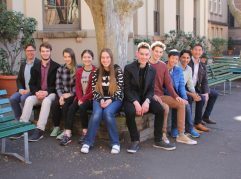 Jason has also produced a number of series on Australian performance repertoire for the HSC. Listen in this coming Wednesday and hear Chrysoulla Markoulli, Xiao-Xiao Kingham, James Littlewood and Oliver Beard. 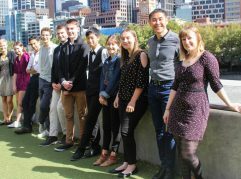 In March, we launched the young composers works from 2016 at a special ceremony at the Sydney Opera House. 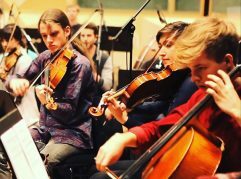 We were joined by families and friends to hear the final compositions that will be broadcast at the SOH, Art Gallery of NSW, Adelaide Festival Centre and Perth Concert Hall this year. They were interviewed by Lyle Chan and you can see the interviews or hear the works online. Also visit the gallery. Artology has partnered with our friends at Cool Australia to create a set of teacher resources for the classroom and a DIY guide to help students work on their compositions independently. There is also a set of short videos that discuss many aspects of the composition process including tone colour, rhythm, inspiration, instrumentation and layering. Hear first hand from young artists how they have used these elements in their compositions. Another great reason to enter Fanfare! 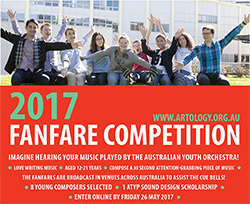 Each year one lucky fanfare participate is selected to work with ATYP’s professional sound designer, Steve Francis to create the sound design for an ATYP production. This year the production is Wonder Fly. If you have an interest in learning more about sound design and how it all works – this is another great reason to enter the competition! …Find out more.